Beer is one of the oldest and most popular alcohol beverages. 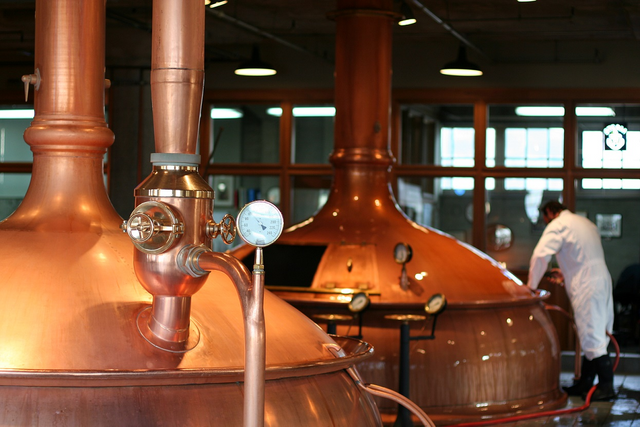 From the earliest manual beer-making process to the latest development in distillation technology are part of world's history. It is also the favorite of one to millions of people around the world. 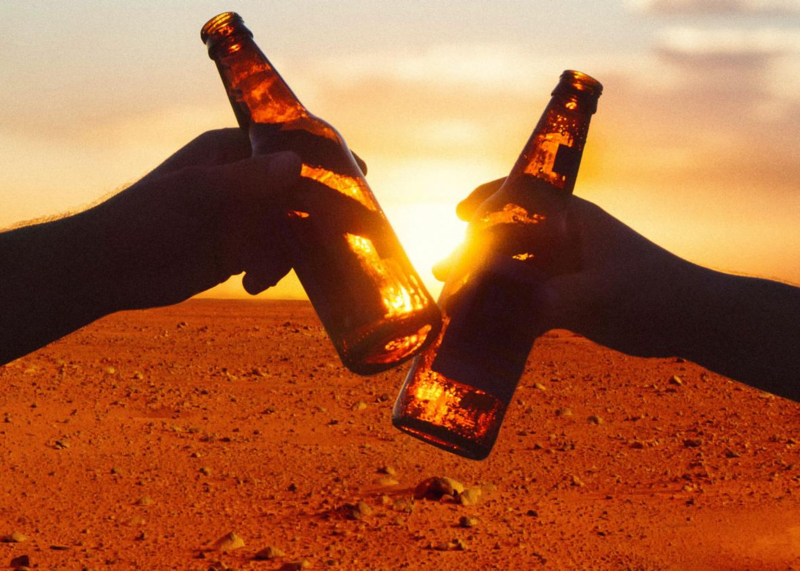 Between 3500 - 3100 BC, it was believed that Sumerians, the people of Mesopotamia, which country is also known in this modern day as Iraq, was to ever discovered beer. The people of Sumeria had many different terms for beer from sikaru to dida to ebir which all means beer mug. In the other side of the world, ancient Chinese considered themselves as the first one who brewed beer. 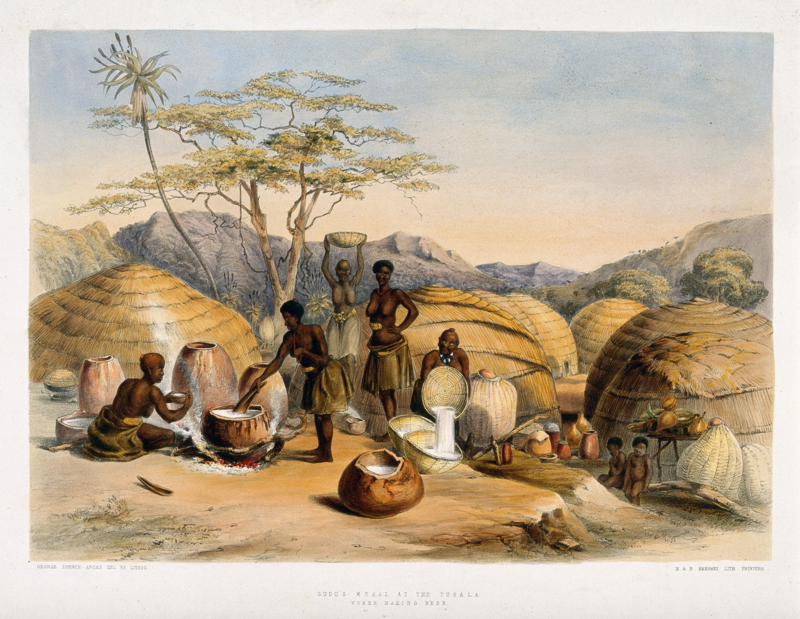 While few history books claimed that it was the Native Africans who originally invented the process of beer-making. Our humans and non-humans ancestors have been able to metabolize that ethanol for a really long time. From examining our DNA, some scientist estimates that our ancestors developed the ability to metabolized ethanol around 10 million years ago. Thanks to microscopic organisms and some crafty organism. Today, the alcohol we're describing is Ethanol, which is actually just one type of alcohol BUT is the ONLY one that's safe to drink in large quantities because we've developed the ability to metabolize, break down and eliminate toxic components. Ethanol occurs in nature thanks to fermentation which is the process of breaking sugars down into ethanol and carbon dioxide. Majority of beer's ingredients are water, barley, hops, and yeast which is fat-free and cholesterol-free that contains vast amount of nutrients. Cooking grains in water. This procedure is called The MASH. After the boil, the liquid is rapidly cooled to prevent bacterial contamination and oxidation which can change the taste of the beer. Once the wort is cooled, the yeast is added to begin the fermentation process. Then the yeast is filtered out and the liquid is clarified particles that affect the liquids taste or appearance. Transferred to barrels for few months to few years to give more flavor to the drinks. 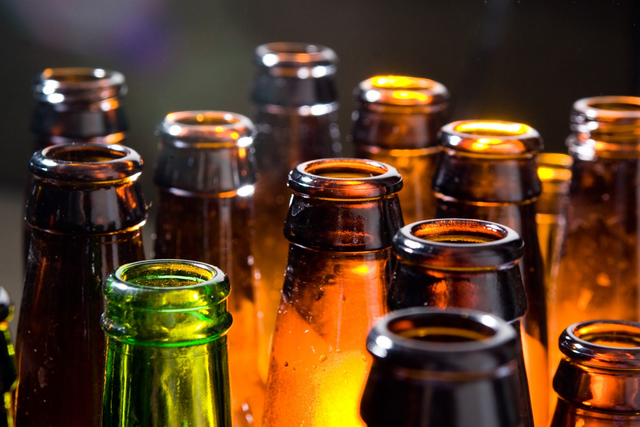 With everyday consumption of beer in moderate quantities, it can greatly improve your health. Are you already aware of the benefit it has for people’s health? Beer is rich in vitamin B1 and B2. This definitely increases the vitamins in the body. It contains 30% more vitamin B6 than any other source, as well as a great amount of rare vitamin B12. Beer also has magnesium, potassium, soluble fiber, selenium, biotin, phosphorus, chromium and folic acid. Moderate consumption of beer is considered to be 12-ounces of beer per day for women and 24-ounces per day for men. One glass of it per day lowers the probability of kidney disease by as much as 40% according to the result of a recent study. The vegetable fibers in its composition lower the level of LDL cholesterol and protect the organism from cardiovascular diseases and at the same time increase the level of HDL according to Harokopio University. According to another scientific study, the high level of silicone strengthens the bones. Beer contains high level of lactoflavin and nicotine. These two ingredients improve sleep and cure insomnia. 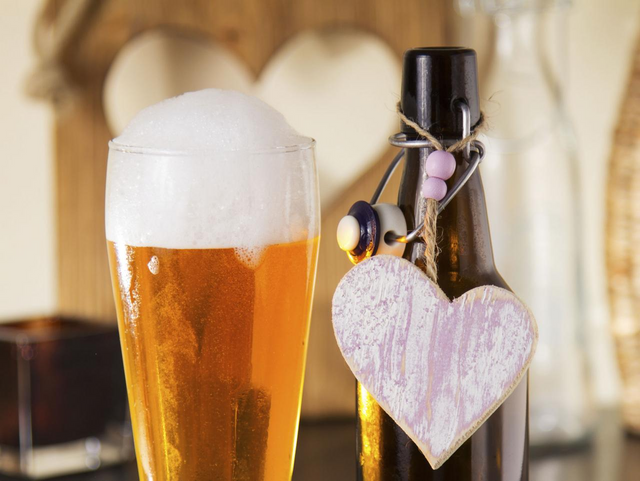 The result from some studies shows that drinking an adequate amount of beer can reduce heart attract for amazing 40 to 60%. Beer is an amazing drink for blood clots. Experts suggests that to improve memory, drink beer. According to Rush University Medical Center, beer lovers are subject to a lower danger of dementia and Alzheimer diseases in the later years than the ones who avoids it. It has been proved that two glasses of beer per day significantly lowers stress and health of the kidneys. The regular consumption of beer has a positive effects on pigmentation. Moreover, it makes skin smoother and with a nicer look. The high water content in beer helps flush out toxins and give your skin and face a natural glow. Many researchers have found that alcohol in beer increase the sensitivity to insulin and can protect against developing type 2 diabetes. However, if you are already diabetic, take the beers with low content on carbohydrates. After shampooing, rinse your hair with a mug of beer for about 2 to 3 times a week and see that your dandruff is gone and your hair is shiny and softer than ever before. 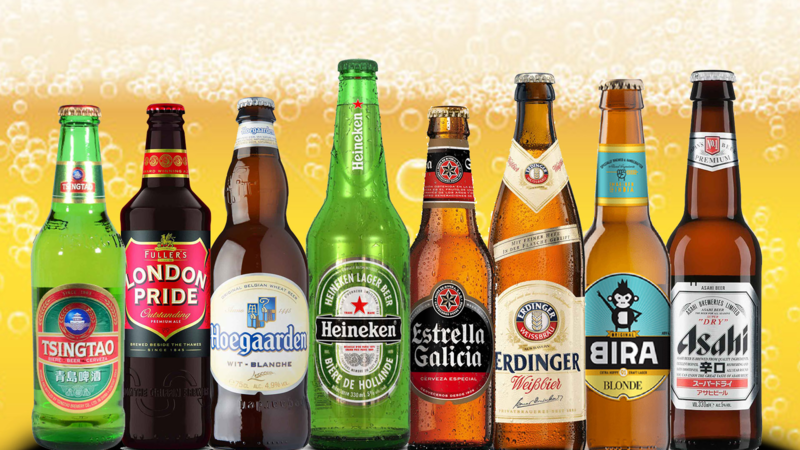 For number's participation, here's a list of world's top 15 best-selling beer brands. Tenenit is an Egyptian goddess of beer whose name derives from tenemu, Egyptian word for beer. 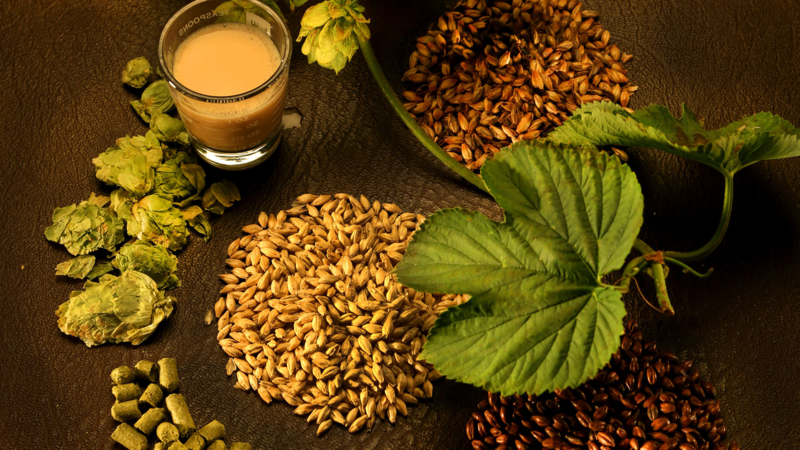 Different grains are used for different kinds of beer. Dark grains are used for darker beers while light beers are used for light beers. Hops are actually flowers, harvested from a vine called Humulus Lupulus. In Egypt, even Queen Cleopatra VII greatly enjoyed the taste of beer that she lost her popularity toward the end of her reign more for being the first ever to implement tax on beer than for her wars with Rome which the beer itself help made payment for. Carbon dioxide is the reason as to why beers bubbles. Hops kept beers from spoiling so the beer lasted last longer. Wine production is similar to beer-making in a lot of ways. It is just that instead of grains wines used fruits to produce alcohol. When beer was first invented, the original brewers were women, they brewed beer regularly at home as together and serve along meals. Hops produce antibacterial compounds called alpha and beta acids, which helps the beer free of bacteria and support the growth and survival of the yeast. The people of ancient Mesopotamia enjoyed beer so much that it was a daily dietary staple. Beer was not just offered to the souls of dead, but also considered best gift for their gods during ancient times. Hops give beers its distinctive twist of bitterness, citrusy, floral and piney notes. In ancient history, beer was once used as medium of exchange and daily ration of beer was provided for all citizens, the amount depending on one's social status. In ancient Eygpt, men, women and children drank beers for it was believed to be a great source of nutrients more than intoxication. The craft beer revolution maintains its great collaboration. In USA, more than 3,700 brewery company compete with each other for sales and marketing rank. but they also come together to work for the common good cause. The particular time the founders, company owners, and entrepreneurs meet every year is at Great American Beer Festival to unite, exchange ideas of technology as well as to discuss innovation. From simple pass time to grand events, Indeed, beer has a way of bringing people together. It would be fitting if this spirit could one day bring together the brewers from ancient Mesopotamia (now Iraq), Egypt, Rome, Germany, United Kindom, and to all people all over the world, for peace and trade harmony since beer was and still is increasingly a state-running industry up to the time being. Hi @frost04! I believe in your potential and I've upvoted you with 50%-75% of my voting power for your article to have more presence. This article is so great. Complete (or almost if not)on details about beer. Mentioned everything about beer that one would love to know about his favorite beverage, the beer. Watching Ancient Aliens, the Egyptians were said to be visited by Aliens. 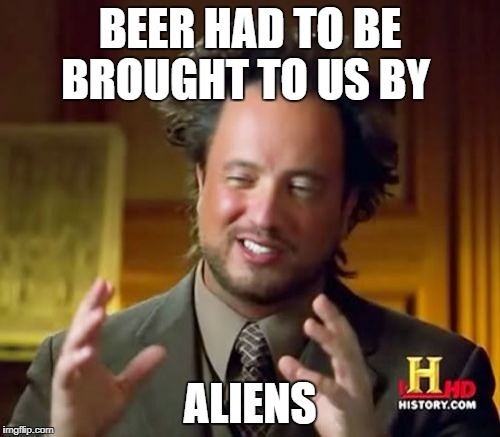 Being a beer fan, it made me think...aliens brought the microorganisms here to bring beer possible and maybe teach them how to make it. Far-fetched but..kinda of interesting the more I think about it.. Awesome Steem name as well Brad! Thanks for this comprehensive article. Thanks for mentioning craft beer. 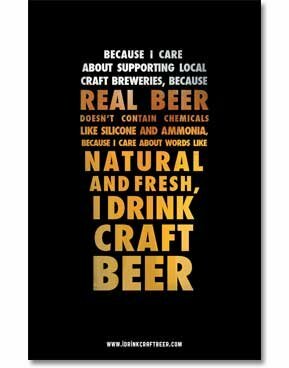 Please support your local microbrewery! Awesome!! We dont have much where I'm from but would certainly support one if I found out. ! I agree, kinda like a small reward for yourself after a long day. Beer always support us when we are alone or we are are in a party. We can't enjoy the party without beer. Awesome response bro. One for the beer boys! Yes! Waa having one when i got the idea for this article! Glad you liked it. You got a 4.54% upvote from @buildawhale courtesy of @frost04! This post has received a 3.31 % upvote from @booster thanks to: @frost04.